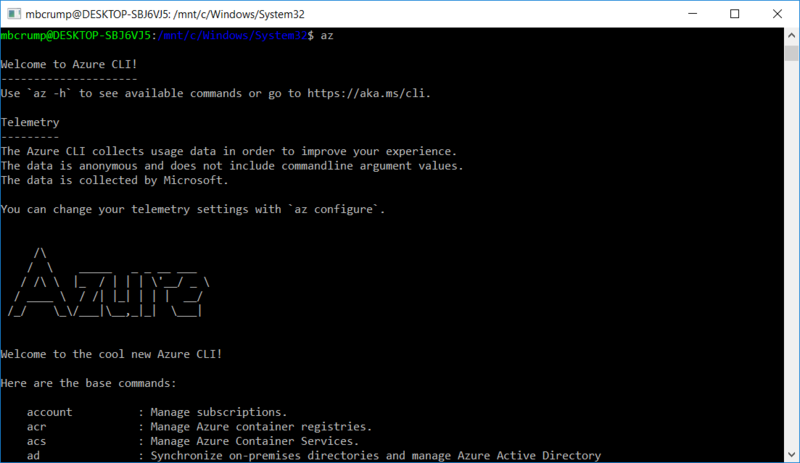 One thing that most folks aren’t aware of is that they can enabled the Azure CLI within Windows using BASH. You’ll need BASH installed before going forward, so add it from the “Add/Remove Features” and select Windows Subsystem for Linux. Let’s jump right in. The first command is apt-key which apt-key is used to manage the list of keys used by apt to authenticate packages. Packages which have been authenticated using these keys will be considered trusted. The second command installs the apt-transport-https which allows sources accessible over https (Hypertext Transfer Protocol Secure). 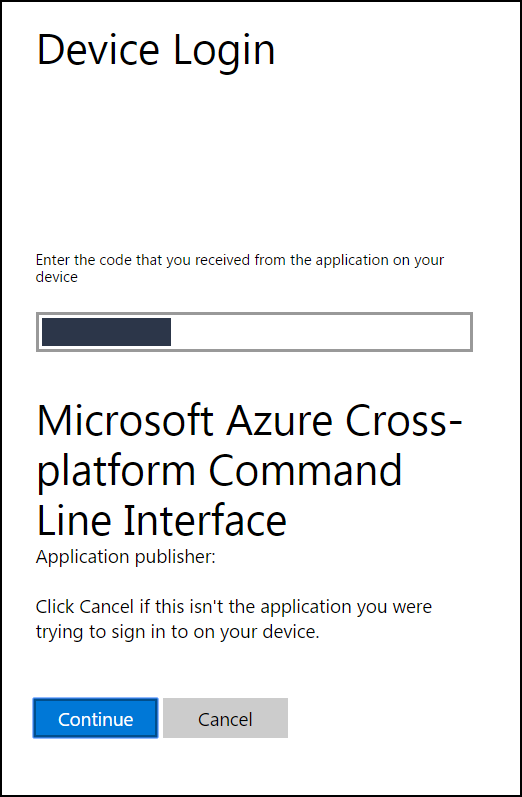 The third command updates packages and installs the Azure 2.0 CLI from the packages repo we entered in the beginning. Wow, that was pretty easy! We can see from the screen-shot that we can type az -h or go to aka.ms/cli to get help documentation. To sign in, use a web browser to open the page https://aka.ms/devicelogin and enter the code XXXX to authenticate. Keep in mind that you can always get back to this screen with az account list. Now that you are logged in you can do all kinds of things such as create a Ubuntu VM with az vm create --resource-group myResourceGroup --name myVM --image UbuntuLTS --generate-ssh-keys. Very cool! Don’t stop here, check out the docs and learn how to do more!